Lochaber is famous for the mysterious parallel lines that can be traced along the sides of Glen Gloy, Glen Roy and Glen Spean. Before geologists unravelled the story of ice ages in Scotland, many people believed that the lines were roads built by the ancient kings of Scotland. It was only in the 19th century that the first theories about glaciers were put forward. We now know that these ‘roads’ are in fact shorelines created by ice-dammed lakes. The best examples of the ‘parallel roads’ are found in Glen Roy. Find out what Charles Darwin thought of the Parallel Roads when he visited in the 19th century. 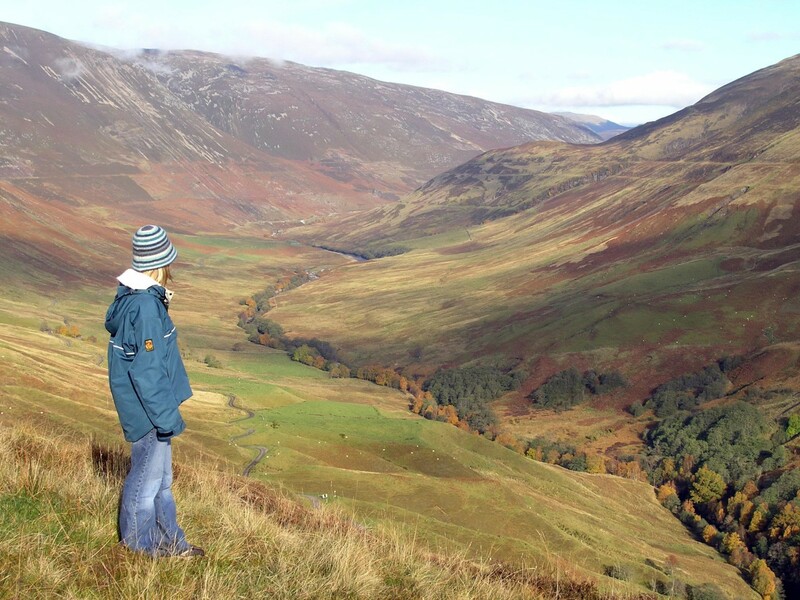 Glen Roy is also a National Nature Reserve, making it a great place for wildlife spotters, with Red dear, pine-marten and ptarmigan living in the area. This iconic memorial commemorates British Commandos of World War Two. 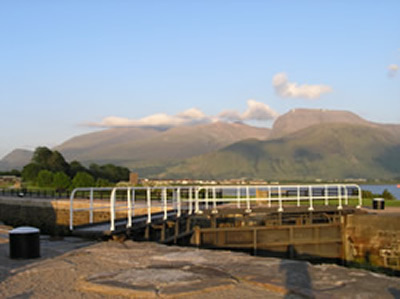 The site overlooks a former training ground, and also provides excellent panoramic views of Ben Nevis and its surrounding mountains. There are many excellent trails starting here for, suitable for gentle strolls and families. 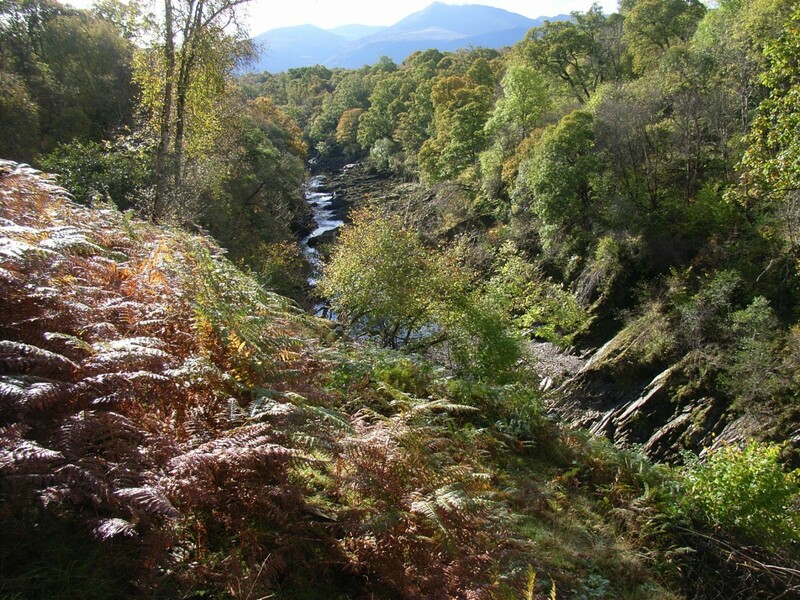 For a great description and pictures of a route walk that takes in the historic sites of the memorial, ruins of high bridge and river Spean, visit the walk highlands site. The Rivers Roy and Spean are two of the most popular whitewater kayak runs in all of the UK. Each river holds several sections of rapids at various grades of difficulty and these can be paddled at a large variety of water levels. Relatively large catchments mean that flows within the riverbeds are usually enough to float a kayak down even when most other rivers in the area are nothing but a trickle. During flood events the upper section of the River Spean is particularly spectacular as it is fed from 6 giant pipes which spill water over 100 feet through the air from the towering Laggan Dam and into the river far below. The quality of the Spean and Roy for watersports is down to the wet local climate and the outstanding geology of the area. The most popular kayaking sections in the lower parts of both creeks are characterized by deep, smooth, bedrock gorges with lush riverbanks of forests and moss. The mature nature of the watercourses means that they have been naturally smoothed free of sharp boulders and most other impediments to passing kayaks. This process has left behind immaculate rock surfaces which create fast flumes, crashing waves and turbulent boils of rushing water; ideal challenges for experienced kayakers. 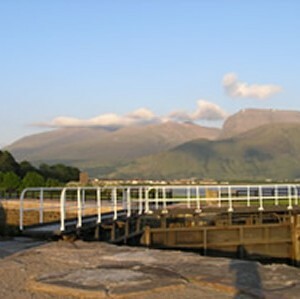 The Lochaber Geopark Visitor Centre is Located in the idyllic village of Roy Bridge. It’s the perfect place to start exploring Glen Roy and the surrounding area, with information about everything to see and do in Lochaber, an exhibition, shop, cafe and guided trips to see the Parallel Roads. 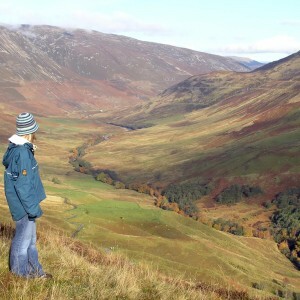 Check out the pins on our map to read about interesting features along the Glen Roy geotrail. 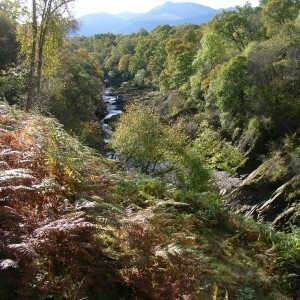 The village of Spean Bridge is an attractive place, and can be accessed by train. There’s lots of accommodation, a great variety of forestry trails in the area and a golf course. It makes an ideal base for exploring the area. Glen Roy’s not just about the Geology, it’s got a rich and unusual history. Not far from Spean Bridge is The Great Glen which runs 104km (65 miles) across the Scottish Highlands from Fort William to Inverness. This stunning glen cuts straight across the mountainous scenery of the Highlands, forming a natural highway for walkers, cyclists and paddlers. It takes you from the west coast of the UK across to the east coast. 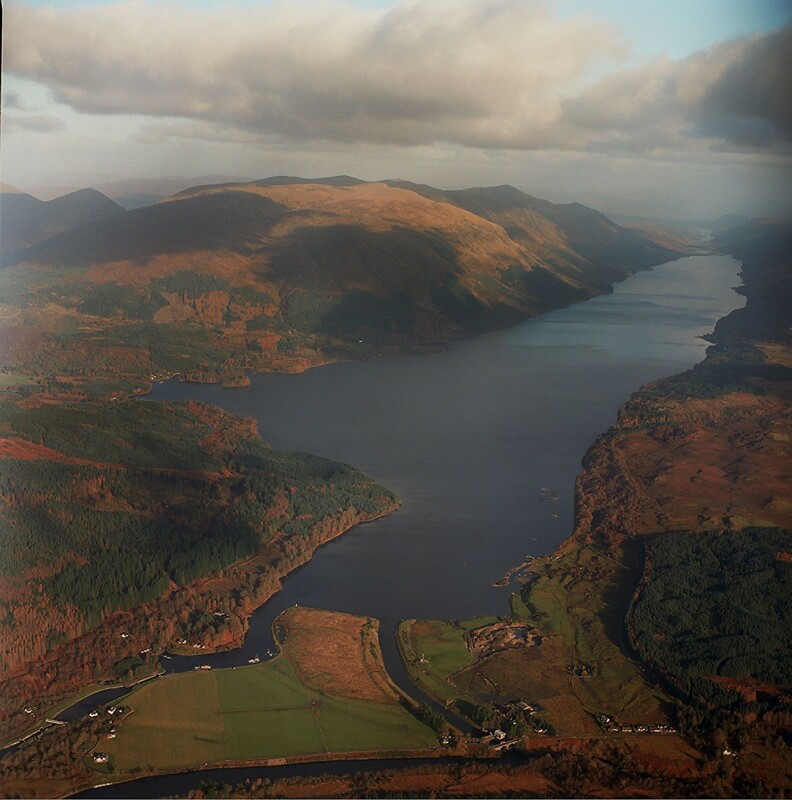 It takes between 5 and 6 days to walk the Great Glen. Paddlers will have a trip to remember with the route taking in Loch Lochy, Loch Oich and Lock Ness. To purchase our geotrail leaflet pack, which contains all the detail and directions you need for a great day trip (in fact eight great day trips! ), just visit our shop page.